• Twenty years ago, the University chased after Boise State, following its southern neighbor out of the Big Sky and into the blue sky of big-time college football. Well, sort of. The Vandals never really ascended into the big time. They had a couple of really good years, spent a lot of time in the middle rungs of the WAC, then became low-end FBS vagabonds when the rules changed and the Western Athletic Conference ceased to be a football league. And now, after years wandering in the wilderness, Idaho president Chuck Staben has led the Vandals back to the FCS ranks. They will spend the next couple years fulfilling their contract with the Sun Belt Conference, the Vandals most recent marriage of convenience. And then its back to the FCS, where most of Idaho’s neighbors – Eastern, Montana, Idaho State – have stayed all along. We’ve covered this ground before. John Blanchette covers it as only he can with this column. But let’s add one thing. This is the right move for the university. The Big Sky is the right place for the Vandals to be. It’s been the right place the past couple years for all its sports but football and soon it will be their only home. Welcome back. • Remember how worked up everyone got when the NCAA banned satellite camps recently? (Yes, even I did.) Never mind. The board of governors voted yesterday to overturn the ban and to also institute a wide-ranging review of football recruiting. So Washington State’s Mike Leach, who was one of the more vocal critics of the ban, can hit the road this June. And the SEC, who hates the practice? It changed its rules as well and will allow its schools to hold camps away from campus. • WSU: There was nothing major coming out of Pullman yesterday, at least nothing as big as what happened a few miles down the road. But there is a few things to pass along, including this piece from San Diego on Valentine Izundu and his inability to transfer to San Diego State. 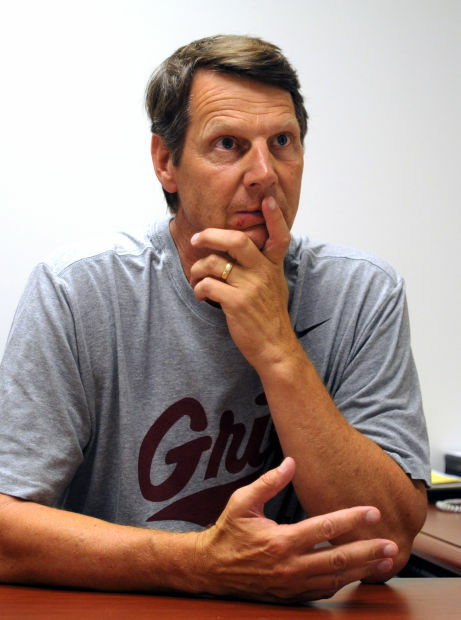 ... Former WSU coach Ken Bone (pictured) has stepped down at Montana, where he’s been the top assistant the past couple years. ... The Pac-12 had the No. 1 pick in the NFL draft. ... If you care about the Pac-12 Conference at all, you can’t miss Jon Wilner’s piece from yesterday on commissioner Larry Scott and his future. • Gonzaga: The good news Thursday came in the form of another season for women’s basketball player Elle Tinkle, who dealt with a knee injury last season. Jim Allen has the story. ... The bad news? The baseball team lost the first game of its WCC showdown series with BYU 11-2. 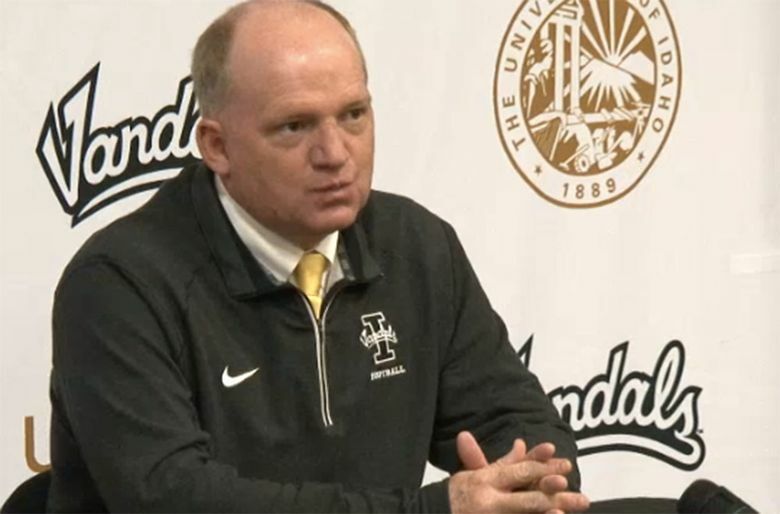 • Idaho: Besides Sean Kramer’s story and John’s column on Idaho’s decision to rejoin the Big Sky in football, we also can pass along this video from Thursday’s press conference. ... The Idaho Statesman also has coverage of the eventful day’s activities. • Bloomsday: It’s not long now until the streets of North Spokane fill with runners, including last year’s women’s champion. Jim Allen has a story on her as well as a feature on a local woman who has become a wheelchair champion. • Empire: The third time is anything but charming, at least it is usually in a football season. The Empire and Tri-Cities face off for the third time this season tonight. Jim Meehan has an advance of the game. • Preps: The Mead boys and the Central Valley girls all but clinched league track titles yesterday. Greg Lee was there and has this story. ... Tom Clouse has his baseball notebook, which leads with Freeman’s Northeast A title team. • Mariners: No game last night – the defending World Series champion Royals are in town for a weekend series – but we do have a feature to pass along on the hot-hitting Ketel Marte. • Seahawks: If you had the Hawks taking an offensive lineman with their 26th pick in the first round, you lost. On a technicality. 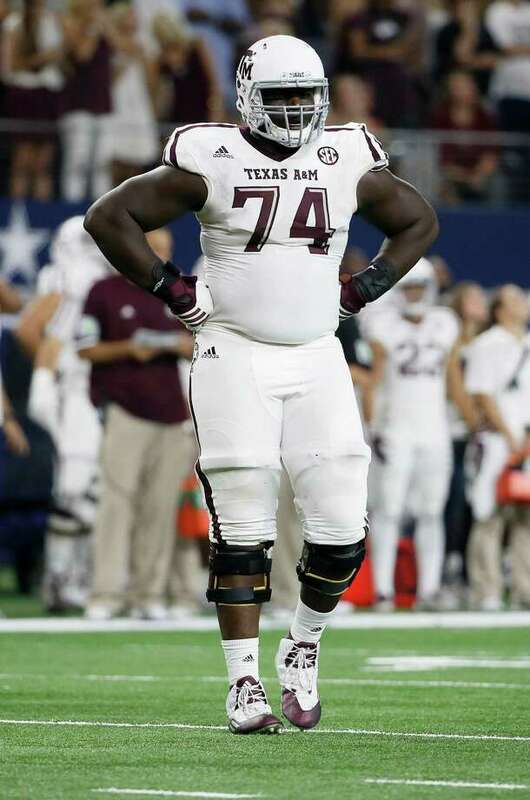 Seattle traded down five spots, picked up a third-round pick today and still got a mountain of a right tackle, Texas A&M’s Germain Ifedi. At 6-foot-6 and 324 pounds, Ifedi can drop the “i” in his first name because he’s as big as a country. ... The draft continues today with Seattle holding another four picks in the next two rounds. ... The Hawks signed a couple players and released another in the lead up to the draft. • Sounders: When training ends, some players begin the real work. • NBA: The professional teams that would be affected by a new arena in the Sodo District of Seattle have reached a city-brokered scheduling agreement.